Do you dream of living the writer’s life? Do you also enjoy proofreading as a complementary skill to writing? Do you also consider yourself fluent enough in another language to translate? Then the freelance writing site TextMaster would help you enjoy all three of these skills and make money working from home doing it. TextMaster appears to be open worldwide. Textmaster (not to be confused with Textbroker) is a freelance site that offers web content writing, article writing, copywriting, proofreading, and translation services to their clients. 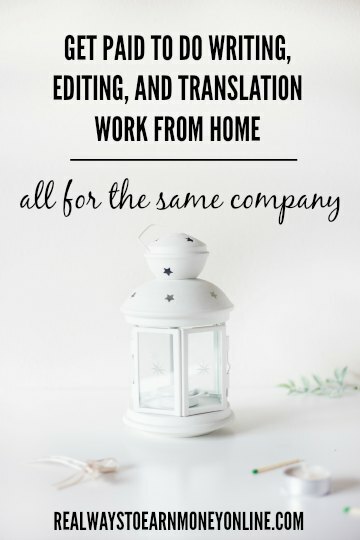 Freelance writers, proofreaders, and translators go to the website and set up an account similar to other freelancing sites and offer their services. After the freelancer registers on the author’s dashboard and creates an account with TextMaster, he/she may apply to any writing, proofreading or translation job. The best part is that the freelancer is not locked into only doing one of these three jobs. The freelancer may do all three jobs or any combination of the three positions. However, you will be tested on all the skills that you apply for as you proceed through the application process. Should you fail any part of the application process, you will be notified via email within 72 hours. You will also be notified of acceptance. While you won’t be bidding on jobs, you will be able to select jobs from the category that you wish to pursue. Upon that selection, the jobs vary greatly in time and in payment. Most jobs pay by the word. What Are the Computer and Equipment Requirements at TextMaster? connection to Grammarly.com or any similar spelling/grammar checker. What is the Pay and When is Payday at TextMaster? When you reach $65, you may cash out at TextMaster. Payment is done via PayPal at TextMaster whenever you cash out. The pay varies depending on the work you do. It appears that the pay is between $.15 a word to $1.40 a word depending upon what job (writing, proofreading, and translating) you are doing and what your rating is as you move up. The translation jobs appear to be on the higher end of $.40 to $1.40 per word. TextMaster has a referral program where you earn 10% of all of your referrals’ income for 1 year. So, referring your friends and fellow work-at-homers (WAHers) could become another way to increase your income at Textmaster. Are You an Independent Contractor or an Employee at TextMaster? You are an independent contractor and responsible for your own taxes—like all freelance websites. Should you make over $600 a year, you will be sent a 1099 Income Tax Form. What is My Overall Impression with TextMaster? I think it is a good side hustle to have. However, it appears that there is such an inconsistency of work and sometimes not enough work to stay busy. I would say at this point, you should only use it as a side egg to your other work-at-home companies. I get the impression that it can definitely be a feast or famine situation. How Can an Interested Applicant Apply to TextMaster? Go here and begin creating an account. After the account set up, you will be prompted to pursue the testing process. This is the most profitable route to take as a freelance writer. You can get your own clients and set your own rates, which you cannot really do with TextMaster or other content sites. A six-figure income is not outside the realm of possibility when you're running your own business. No tasks have been available for the past two months. I’m wondering if they are even still operating. I never hear anything about them. I used to work for them a while back, they would often send me tasks of french/ english texts to be translated to portuguese. Now that i’m just 1€ below the minimum amount to get paid (I think it’s 80€ or smth ) They STOPPED sending me tasks (as if by chance! )… I think it’s a a little bit weird, for me, they just dont want to pay their writers and they do that by making the new tasks available only to beginners who havent reached their minimum balance yet. I dont recommend this website unless you dont mind working for free. Hi, Leisa! I wanted to sign up for TextMasters, but unfortunately, it’s not exactly worldwide. They accept native English speakers, so it’s not just for US residents, but it’s not for other international writers. @Rhymis – Correct! However, as you can imagine for the translator jobs, other countries are accepted. Countries can be added all the time as the company grows, and the world situation changes. I always recommend that potential applicants send an email first before applying. That way you will know whether or not your country is included. Thanks for sharing. I signed up for this a while back. I did the proofreading and copy writing tests, but I never heard back from them. It still says my application is waiting on being moderated. Have you had others who have been either accepted or rejected?